The District of Highlands is located 20 km (13 miles) north-west from Victoria. 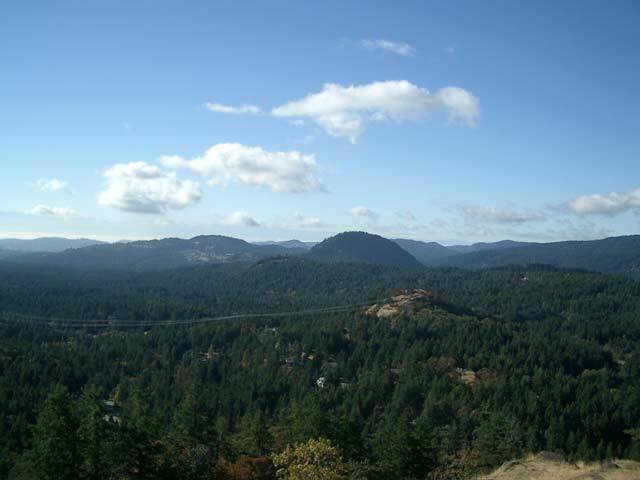 The Highlands borders the community of Langford in the south and Saanich to the east. The Highlands is included in the Capital Regional District (CRD) and is situated in an area called the Western Communities, often referred to as the West Shore. The West Shore is a commercial, business and recreation association and includes the other communities of Colwood, Langford, Metchosin and View Royal. The Highlands is a rural community made up of small hobby farms and homes built on a few hectares (acres). There is virtually no commercial centre or business section in the Highlands with the non-residential buildings being the community's town hall which is situated just off Millstream Road near the entrance to Bear Mountain in Langford, and two volunteer fire halls, one near Caleb Pike Road, the other off Woodridge Place by Raven Heights. The Caleb Pike Heritage Park is located at the intersection of Caleb Pike Road and Millstream Road. Here you can find a 1.2 hectares (3 acres) park with a number of heritage buildings on site. 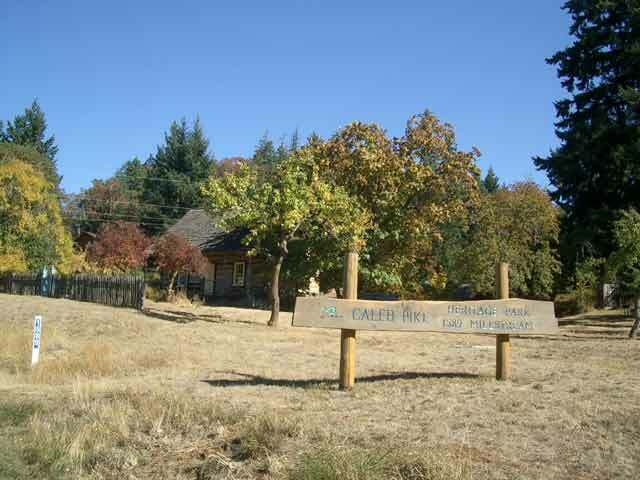 The Caleb Pike Heritage Park is used as a meeting and gathering place for the inhabitants of the Highlands and includes events such as the Saturday night coffee house, council meetings, public markets and family picnics. 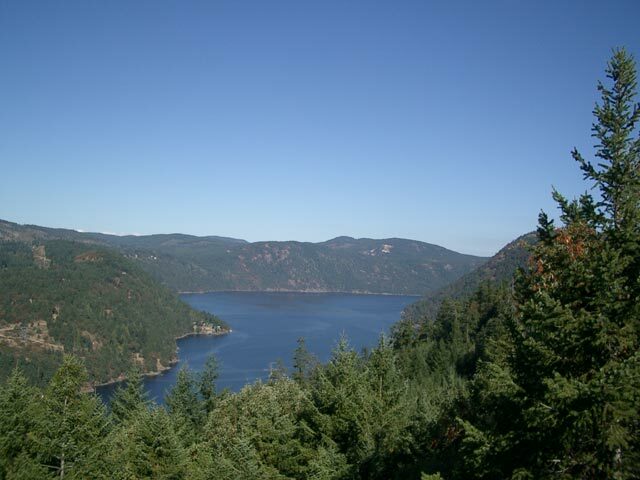 The Highlands is home to a very large recreational space in the west along Finlayson Arm and Squally Reach named Gowlland Tod Provincial Park. In the park you can find a fairly remote wilderness area that features beautiful hikes along trails going through grassy meadows. Along the way there are wildflowers, old-growth Douglas fir trees, lots of wildlife including 150 different species of birds, deer, bears, cougars and squirrels and beautiful ocean views. One other hike that you might also consider is the relatively short one to the top of Lone Tree Hill. Located on Millstream Road just north of Caleb Pike Road North, Lone Tree Hill Regional Park walk takes you up to a beautiful 360-degree view of Mount Finlayson, Bear Mountain with the Malahat in the background, around to Esquimalt Harbour, the Strait of Juan de Fuca, Olympic Mountains in Washington State, Victoria and Saanich. Unfortunately, the tree for which the park was named, is long destroyed and now only a stump. For mountain bikers the Highlands offers you a way into the Capital Regional District's largest area to go cycling at Hartland Landfill. 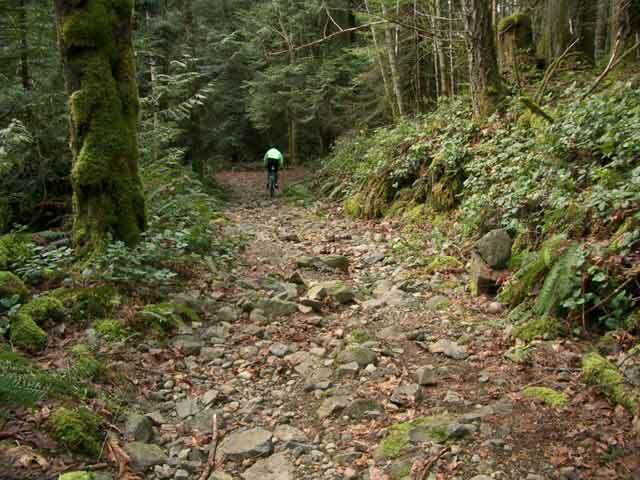 Nicknamed the 'Tour de Dump' this premiere bit of heaven offers single track, fire roads and lots of rocky knolls with a favourite ride called 'Skull Trail' in Vancouver Island's only designated mountain biking area. You can find access points into the Hartland Dump from trails leading out of Mount Work Regional Park located off Munns Road towards Fork Lake. Mount Work Regional Park also has a beautiful walking trail that takes you to the highest point in the Saanich Peninsula through a grove of Arbutus trees and raven nesting areas to a 360-degree viewpoint overlooking Gowlland Tod Provincial Park, Thetis Lake around to Prospect Lake in Saanich, Victoria and the Olympic Mountains in Washington State. 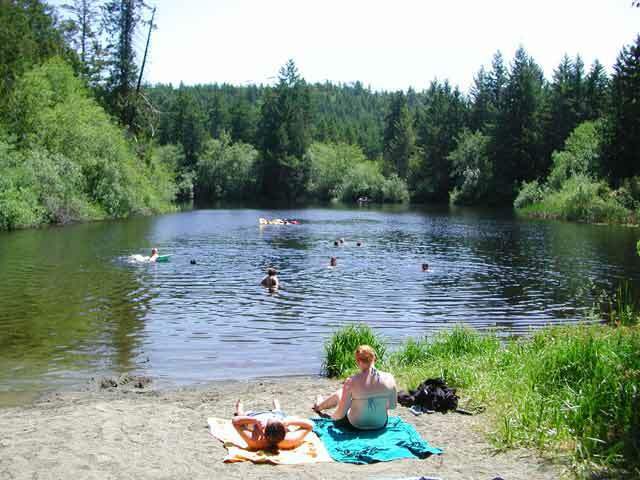 Other recreational areas close to or in the Highlands include the north side of Thetis Lake Regional Park where you can find hiking, mountain biking and swimming. There is also Francis King Regional Park off Munns Road where there is horseback riding and hiking trails. A local favourite, Eagles Lake, is off Woodridge Place where you'll find a great little swimming hole. The nearest shopping area to the Highlands is on Millstream Road in Langford called the Millstream Village Shopping Centre. There are a number of great stores and restaurants situated here including a Milestones Grill and Bar, Serious Coffee, Nando's Chicken and a Valhalla Pure Outfitters' store. The entrance to Millstream Village is situated off Millstream Road just past the Loghouse Pub towards Costco. The nearest adult entertainment to the Highlands is located either in Langford or Saanich. In Langford you can find the Axe & Barrel Brewing Company formerly the Loghouse Pub at the corner of Treanor Avenue and Millstream Road. In Saanich there is the Crooked Goose Bistro and Cherries Breakfast Bistro situated at Interurban Road and Wilkinson Road at five corners. 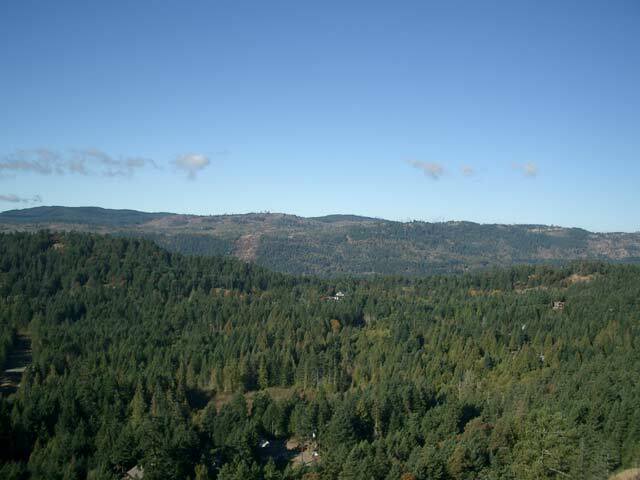 Unfortunately there is no provincial campground at Gowlland Tod with the nearest found at Goldstream Provincial Park situated just off the Trans-Canada Hwy 1 in Langford. There is no other accommodation in the Highlands so accommodation has to be found in the other West Shore communities or Saanich.